Making your money and keeping your money after taxes are two different things. Taking the time to meet with a trusted tax planner can help you keep as much of your money as possible. Several strategies exist to help you maximize your portfolio’s tax efficiency. Meet with one of our Financial Consultants for a plan that addresses your personal situation. Determining the amount of investment tax you will pay on your investments has become a crucial part of the investment planning calculator. As with all wealth management strategies, we begin with establishing your goals and when you will require access to the funds. Dividing your funds in different investment options based on tax treatments can add value during the accumulation phase of your investments. It can also allow you to defer taxes. In some cases, you can even eliminate the investment tax altogether on some of your investment returns. Planning your investing by tax treatment can be beneficial for charitable giving and estate planning as different types of gifts are taxed differently. It is possible to significantly reduce the amount of money you will have to pay in taxes once you retire. It takes planning and you need to start as soon as possible. Taking the time to understand how the various sources of retirement income is calculated is the first step to paying less in taxes. This will determine how much money you will want to withdraw from your accounts to establish your annual tax bracket. It is always recommended that you consult with a financial professional, or a Certified Public Accountant when planning your retirement taxes. Not all financial consultants are equipped to help with this area of retirement tax; but our advisors at Neddenriep Financial have a CPA on site that can advise on these types of issues. 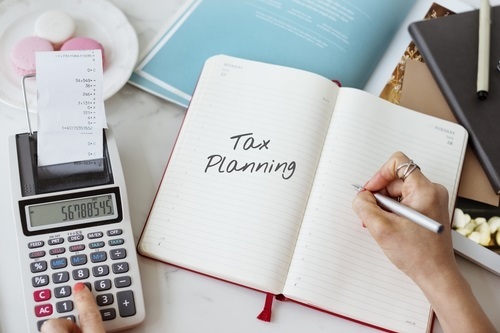 Not only can the advisors at Neddenriep Financial help with your taxes, but our professionals can help with all the areas of your financial planning. We have professional financial planners to assist with your retirement planning and investment planning including bonds, mutual funds, and annuities for Carson Valley and all over Northern Nevada. We can also help unravel the mystery of Social Security and how it can fit in with your retirement.